Obama’s Plan for Destruction of America | Stop Obama Now!! Rush Limbaugh suggested that Obama is setting America up for riots with his rhetoric of class warfare. It should not be a big surprise. 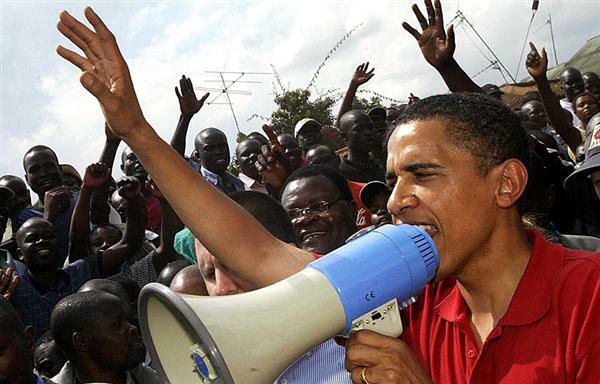 Obama, while still a senator, was involved when there were violent riots and ethnic cleansing in Kenya after the presidential election there in 2008, when Obama’s cousin, Raila Odinga, lost the election. The post-election violence resulted in a deal being made that installed Obama’s cousin in government, whom Obama was advising. Civil disturbances and violence also occurred in South Africa during their revolution, which appears to be the general model for overturning the American system. Americans may believe that the American government is light years distant from the Apartheid Government, but Black Nationalists, communists and radical Islamists see it as the same and even worse. To them South Africa was a regional oppressor state and America is the global oppressor. Black Liberation Theology and Black Nationalism, in general, call for a race war (their version of Armageddon) in the imminent end times, in which white society, America and the traditional church will be destroyed by the black (non-white) peoples of the world. A large part of the reason Obama is not challenged on his usurpation is fear of civil unrest. It results in a form of appeasement. Every time the opposition backs down, it emboldens Obama to push harder. In February of 2011, Louis Farrakhan prophesied an Arab-spring-style uprising in America. Others have followed his lead in the Occupy Wall Street / Occupy America protests. All of these people appear to be, if not working together, working in parallel with Obama towards the same goal. That is, the destruction of the American system as we have known it, as prophesied in the “scripture” of Black Nationalism and Black Liberation Theology. Obama, in league with allies, is fomenting civil unrest. If the public knows that this is what is happening, then they can take steps to prevent it. Sticking your head in the sand and ignoring it will just embolden this pack of wolves that would like to bring the system down. It is important for people to realize that Obama will be complicit in any unrest that occurs.